living abroad | Salam, Big World! Hire a real estate agent! In Warsaw real estate agents charge up to 50% of rent to help you find an apartment. Hmmm…I say not worth it! Solicit the help of a local co-worker or a friend. Just be prepared to be paying for that favor for a long time. Żoliborz: is one of the northern districts of Warsaw. It is also where I have been living my first few months in Warsaw. I would describe it as green, quite, and pretty. There are a lot of small parks around the neighborhood. So, it’s great for walking especially for families and people with dogs. It is also directly connected to the center via busses (#116, #503) and the metro. Pl. Wilsona is 4 stops away from the Centrum Station. One of my favorite bars in Warsaw is in Zoliborz, Coco d’Oro, where they serve delicious Sri Lankan food. 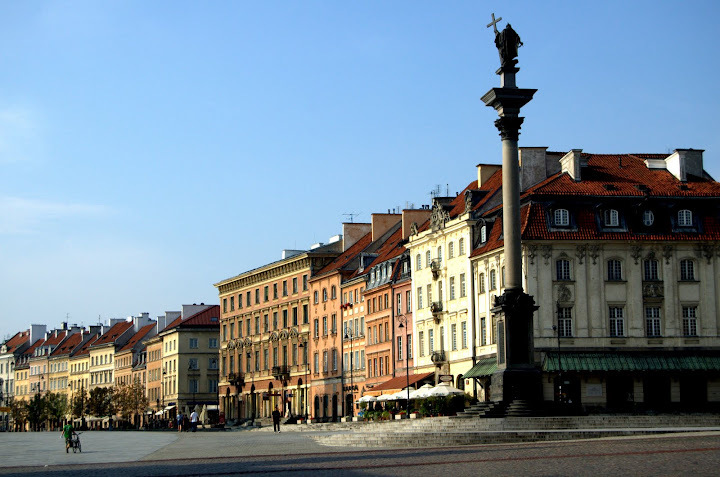 Old Town: As the name suggests Old Town is the oldest historic district of Warsaw. Although initially, established in the 13th century what stands today was meticulously rebuilt after the city was destroyed in World War II. Old Town is pretty, colorful and busy. Some of the tucked away residencies offer some quite away from the touristy hustle & bustle. It is quite well connected with busses to the rest of the city, but expect to walk a lot since most of the Old Town is a pedestrian zone. Powiśle: Literally means near-the-Vistula. This is probably my second favorite neighborhood if not my favorite. This neighborhood is happening! Surrounded by beautiful little parks, the Warsaw University Library (which has an amazing rooftop garden that overlooks the entire city), and a great selection of bars and restaurants. This is a quite central location accessible via busses and if you ride a bicycle it’s one of the more bike-friendly neighborhoods in Warsaw. Some of my favorite hang outs here include: OSIR Cycle Culture Cafe, Warszawa Powiscle, and Solec 44. 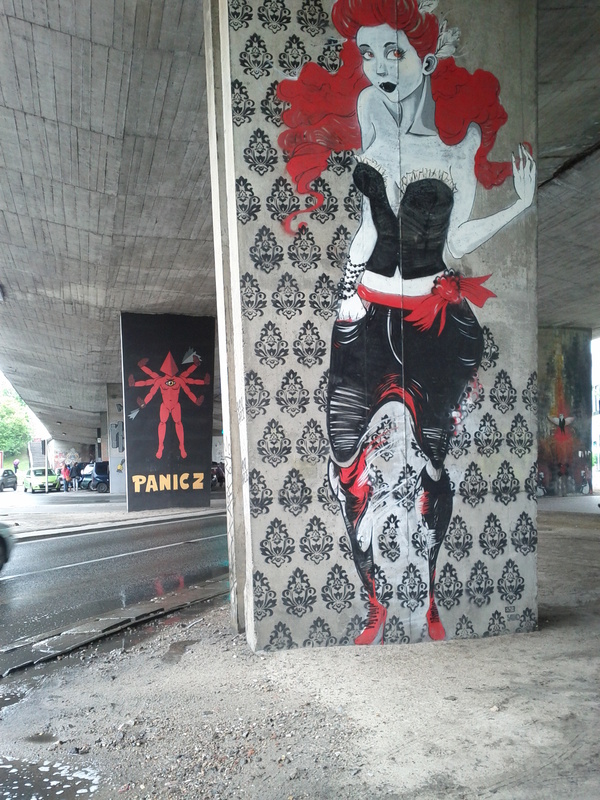 And if you’re crazy about street art as I am, you’ll love taking a stroll down Aleje Ujazdowskie and getting a taste of Warsaw’s vibrant street art and graffiti culture. Śródmieście: Meaning city center or downtown. With Warsaw’s iconic landmarks Palace of Science & Culture, Warszawa Centralna Station, and Złote Tarasy shopping mall you cannot get any more central than this. Unlike other city centers, Srodmiescie is not overwhelming and crowded. It is also not a downtown that is solely functional and lively during the week. Many bars, pubs and other venues call this part of town home. If you like being in the center of things, this is definitely the place for you. The square of Pl.Zbawiciela is packed with great places to hang out like Charlotte, Plan B Bar, and Coffee Karma. One of my favorite places in downtown is art venue called V9. V9 offers all sorts of art workshops from stenciling to silk screen printing and more. They also regularly hold art exhibitions and small concerts. Of course, there are many more neighborhoods in Warsaw, but I wanted to cover the ones I know most about. Be sure to check out: Praga, Saska Kepa, Wola and Mokotow. Happy Apartment Hunting or just neighborhood exploring! Yes, I have made yet another big move! This is probably one of my biggest and randomest thus far! I have moved to Warsaw, Poland. Old Town Warsaw, which was rebuilt after the war in the 1950s replicating the former city plans. I accepted a job with TechSoup Global as their Sr. Manager of International Partnerships, EMEA (Europe, Africa and the Middle East…and yes only Americans would come up with such acronyms that lump random parts of the world together!). The reason TechSoup caught my attention is the simple fact that it works to utilize technology for social good. TechSoup’s main focus is to provide non-profit organizations around the world with donated software (and hardware) to enable them to do accomplish their missions more efficiently. Obviously this is a big win for me – my two passions combined: technology + social good. In the meantime, I’ll keep correcting folks “Poland…not Holland (or Portland, in some cases).